The ad giant’s first results since a merger with Omnicom collapsed were unexpectedly poor. Publicis shares tumbled. Claims the deal was about “opportunity, not necessity” ring increasingly hollow. 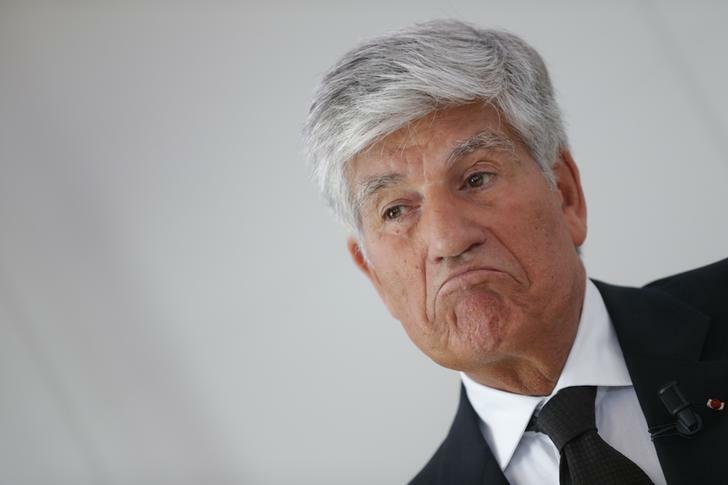 Pressure to find a successor for CEO Chairman Maurice Levy is rising. Publicis better show it has a cure for "hiccup"
Publicis, the French advertising agency, reported worse-than-expected sales and margins for the second quarter of 2014, and said it would be “very difficult” to meet full-year revenue-growth targets. The Paris-listed company said a strong euro and the distractions of trying to rescue a merger with U.S. peer Omnicom helped explain a sharp slowdown in organic sales. These rose just 0.5 percent in the quarter, versus 3.3 percent in the previous three months. The group’s full-year target is for 4 percent growth in organic sales. Second-quarter sales dipped to 1.76 billion euros ($2.5 billion). Analysts polled by Thomson Reuters I/B/E/S had on average forecast revenue of 1.88 billion euros. Shares in Publicis stood 4.9 percent lower at 55.99 euros by 0817 GMT, making the stock the biggest loser in the FTSE Eurofirst 300 index. Including this fall, the shares have declined about 16 percent in 2014.